The thirty-second annual Georgia Peanut Tour will be held September 18-20, 2018, in Savannah, Georgia, and the surrounding area. 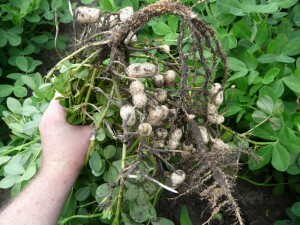 The tour brings the latest information on peanuts while giving a first-hand view of industry infrastructure from production and handling to processing and utilization. 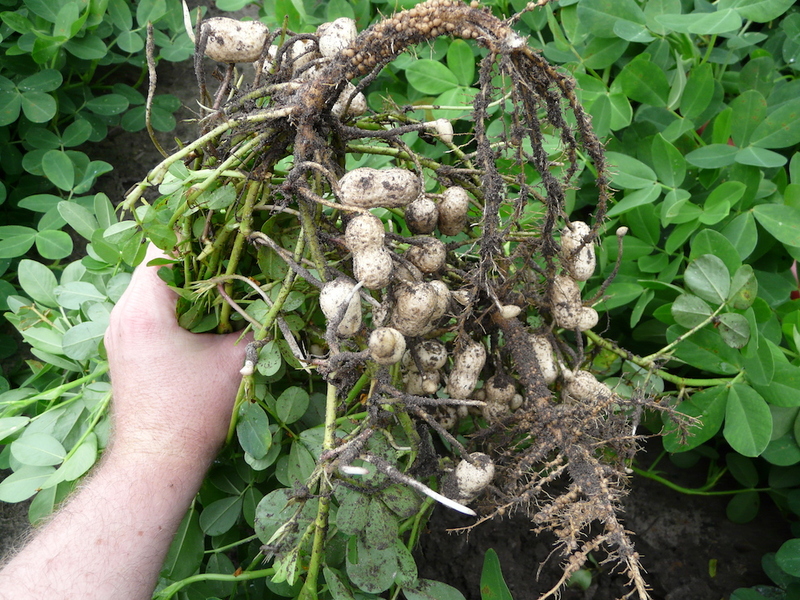 Tour stops will be made in several peanut producing counties including Bulloch, Burke, Candler and Screven County. 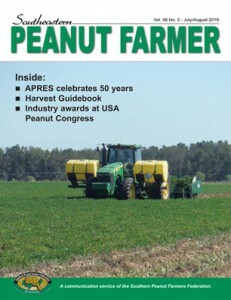 Attendees can expect to see first-hand nearly every aspect of peanut production in the state. This year’s tour hosts many exciting stops including on-farm harvest demonstrations and clinics, research at the University of Georgia Southeast Georgia Research and Education Center and a tour of the Georgia Port Authority in Savannah. The tour kicks off this year with the Hot Topics Seminar on Sept. 18 at 3 p.m. at Crosswinds Golf Club, Savannah, Georgia. The seminar topics include an update on the 2018 Georgia peanut crop and a special focus on the export market. The Georgia Peanut Commission, University of Georgia-Tifton Campus and Griffin Campus, Southwest Research & Education Center, Attapulgus Research & Education Center, and the USDA Agricultural Research Service National Peanut Research Lab coordinate the tour. Hotel accommodations can be made at the Hilton Garden Inn Savannah Airport in Savannah, Georgia by calling 912-964-5550. Rooms are available at the rate of $129 plus tax for a standard room. Be sure to ask for the Georgia Peanut Tour room block. The room block deadline is Aug. 19, 2018. Visit georgiapeanuttour.com to register and view tour schedule. The early bird registration rate is $75 prior to Aug. 10, 2018. For more information, contact Hannah Jones at 229-386-3470 or via email at hannah@gapeanuts.com. One large step closer to delivering on promised certainty, U.S. Senate Agriculture Committee Chairman Pat Roberts, R-Kan., and Ranking Member Debbie Stabenow, D-Mich., today announce the Agriculture Improvement Act of 2018 passed the Senate on a strong bipartisan 86-11 vote. The Senate Agriculture Committee favorably reported out the Agriculture Improvement Act of 2018, commonly referred to as the Farm Bill, on June 13, 2018. The bipartisan 5-year legislation encompasses a broad array of agriculture, nutrition, conservation, and forestry policy. Click here to watch the meeting. Click here to watch other Committee hearings in preparation for the 2018 Farm Bill. Click here to read the legislation, summaries, and amendments. The legislation has the support of more than 500 groups representing thousands of agriculture, food, nutrition, hunger, forestry, conservation, rural, business, faith-based, research, and academic interests. 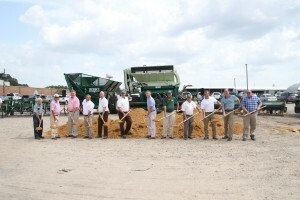 Kelley Manufacturing Co. recently held a groundbreaking ceremony for their new parts department building on June 21, 2018, in Tifton, Georgia. The new 40,800 square foot warehouse is estimated to cost $2.2 million and provide thirty plus construction jobs. The new building will employ 6 to 7 fulltime warehouse employees and 7 field service employees. KMC is expanding the parts department to meet the increased volume of parts for the 73 different implements produced. KMC has been making farm equipment for the farmers of the world since 1966 and their peanut harvest equipment is available in 22 countries around the world.